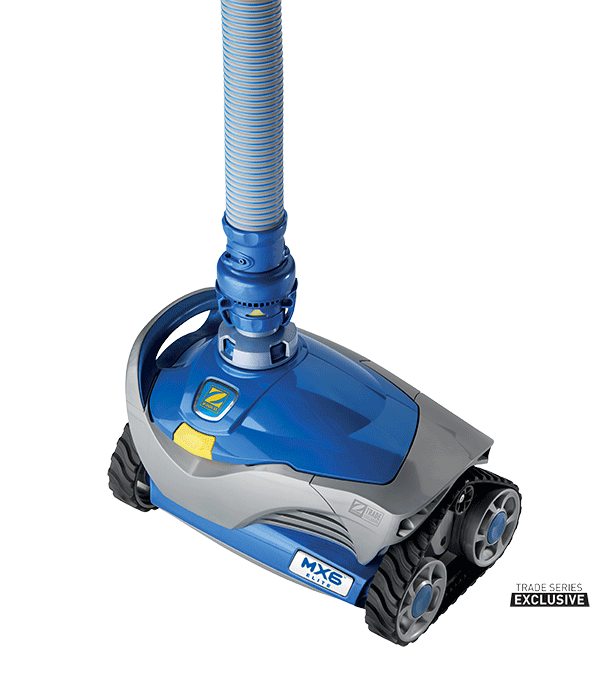 The MX6 Elite combines a compact size with powerful cyclonic suction and aggressive scrubbing action to deliver comprehensive cleaning of your pool floor, walls and waterline. 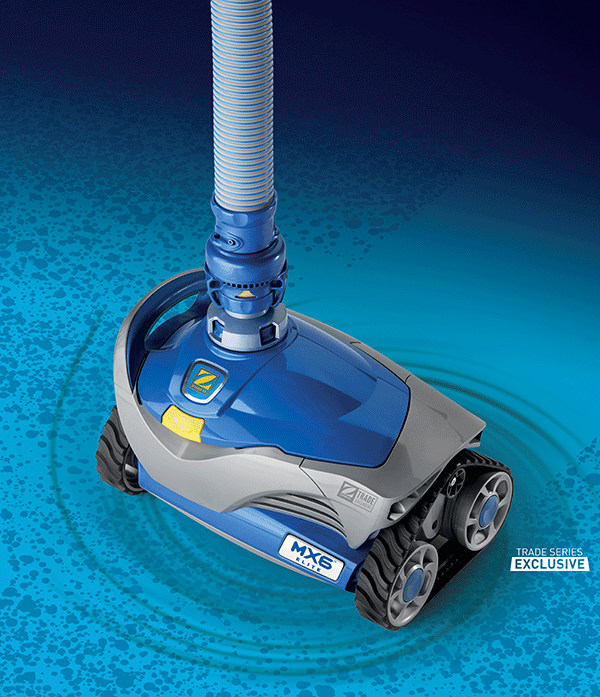 The MX6 Elite thoroughly cleans and scrubs all your pool’s surfaces. 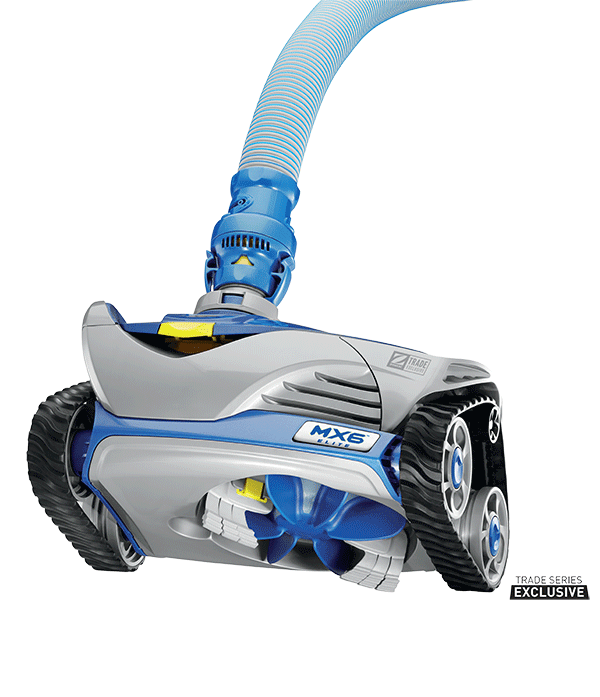 The MX6 Elite brings superior scrubbing action and best-in-class vacuum power to a compact suction cleaner. 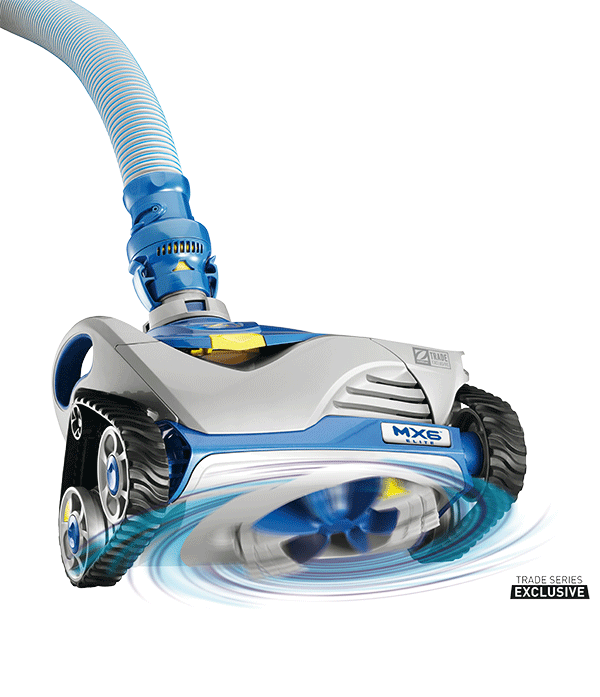 Combining Cyclonic Scrubbing Brushes that spin and scrub fine and stuck-on debris with impressive wall-climbing ability and programmed navigation, the MX6 Elite provides comprehensive cleaning of your pool floor, walls and waterline. 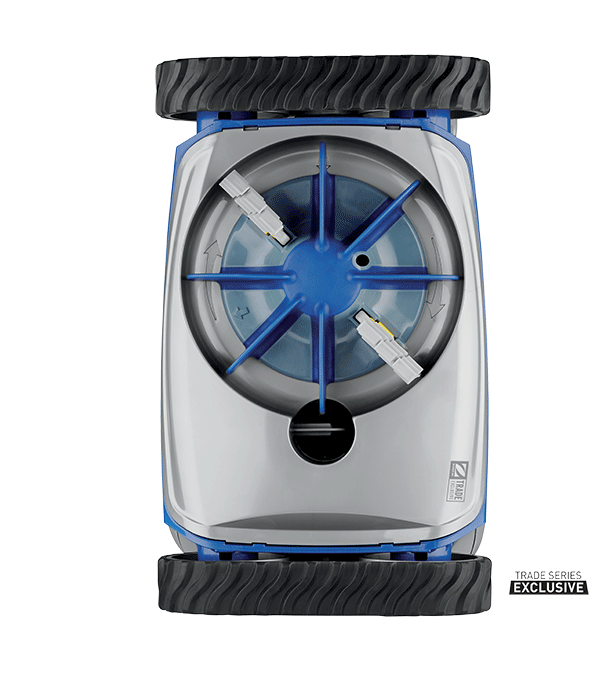 An innovative low-flow design consumes less energy, making the MX6 Elite the ideal cleaner for smaller pools with 2-speed or variable speed pumps. Energy Efficient - Articulating turbine blades provide ultra-efficient operation, even on low-flow pumps. Cleaner does not move or moves slowly. 1. Confirm that the main drain is closed. 2. Check wheel speed to verify proper flow. Refer to section, "Check for Proper Flow" in the Owner's Manual. 3. Check to see if any interior teeth of the tracks are worn. If so, contact your dealer for replacement tracks. 4. Backwash filter and empty pump basket. 5. Check for debris jammed in engine. Refer to section, "Remove Debris from Engine" in the Owner's Manual. 6. Check for air in system. If water level in pump basket drops or you see excessive air bubbles in the pump basket or coming from the return lines, there is air in the system. Check hose connections, tighten all fittings at pump and check o-ring at pump basket for wear. 7. 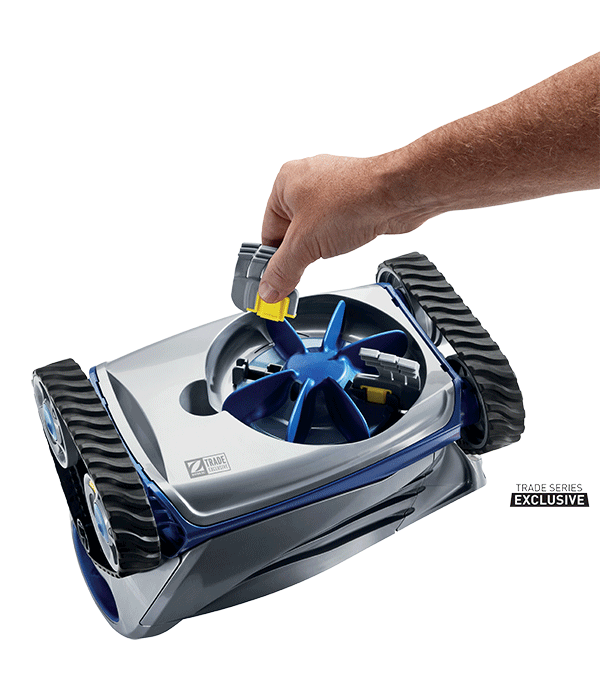 Check the flow regulator valve to make sure it can move freely with the water flow. Cleaner patterns or does not cover entire pool. 1. Confirm proper hose length for your pool. Refer to section, "Determine Correct Hose Length" in the Owner's Manual. 2. Count wheel rotations to verify proper flow. Refer to section, "Check for Proper Flow" in the Owner's Manual. Adjust flow if necessary. 3. Ensure return line fittings are directed downward. Add a return diverter if necessary. 4. Make sure hose is not kinked or coiled. Lay in sun to straighten if necessary. 5. Verify hose float is positioned approximately 9" from cleaner head. Cleaner gets stuck at stairs. 1. 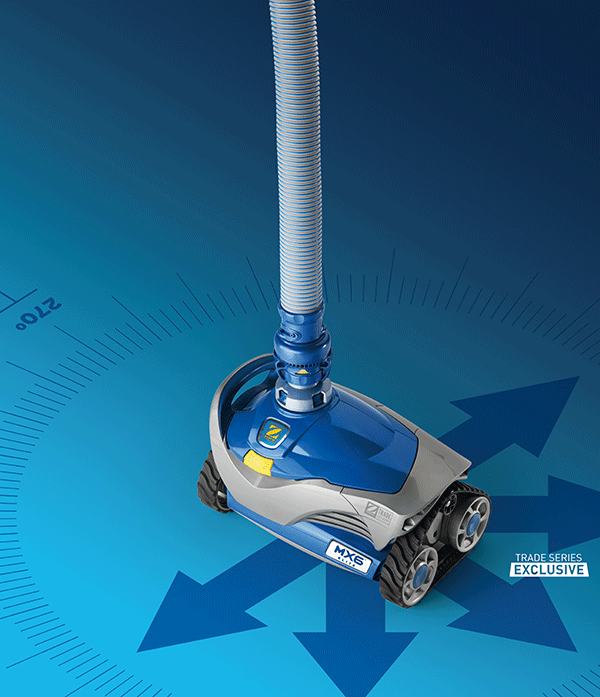 Ensure the swivel on top of the cleaner rotates freely. 3. Confirm proper hose length for your pool. Refer to section, "Determine Correct Hose Length" in the Owner's Manual. 4. Confirm proper hose length. Shorten if necessary. 1. Count wheel rotations to verify proper flow. Refer to section, "Check for Proper Flow" in the Owner's Manual. Adjust flow if necessary. 2. Verify hose float is positioned approximately 9" from cleaner. Cleaner riding on its side. 1. Verify hose float is positioned approximately 9" from cleaner.